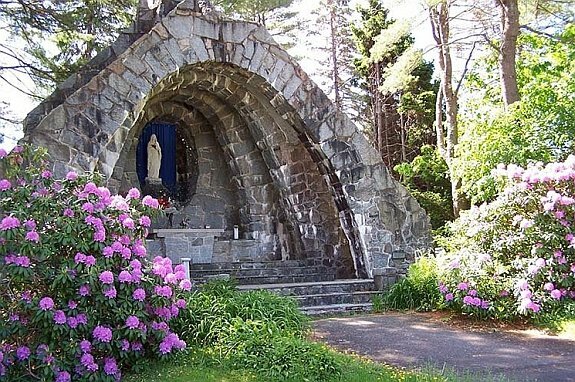 You might not automatically think of gardens when you think of maritime Maine, but there are a host of beautiful seaside spots in bloom all season long showcasing a range of styles from historic to modern. 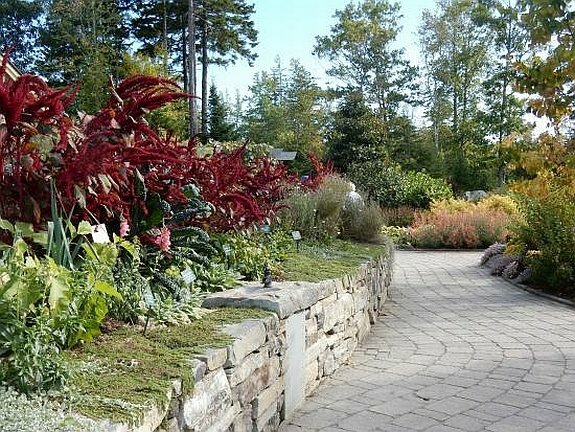 In the southern end of the state, Historic New England’s Hamilton House, located on a bluff overlooking the Salmon Falls River has restored gardens that are faithful to their historical origins and provide a great beginning for a tour of Maine gardens. 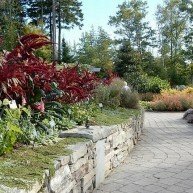 Heading north to Boothbay, the Coastal Maine Botanical Gardens is a must see for garden enthusiasts and anyone with an eye for nature’s beauty. 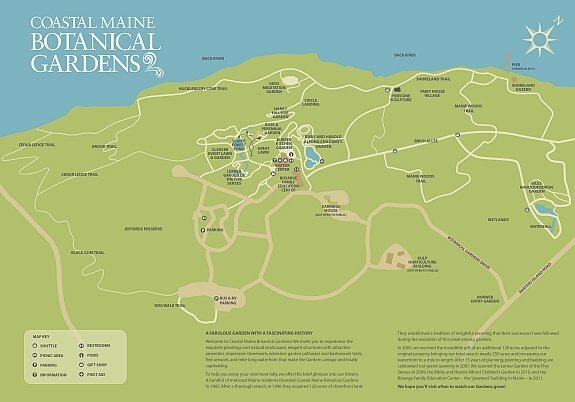 After 16 years of planning, planting, and building, the grand opening of Coastal Maine Botanical Gardens was celebrated on June 13, 2007. 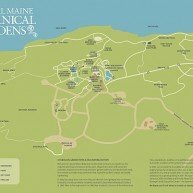 Today the Coastal Maine Botanical Gardens comprises 270 acres of tidal shoreland and in 2014 welcomed more than 100,000 guests throughout the year. 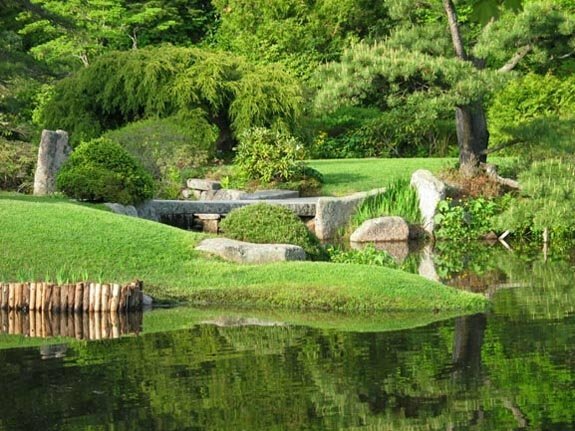 The gardens have an array of plantings, ponds, and garden structures, providing many opportunities to stroll, sit and admire. 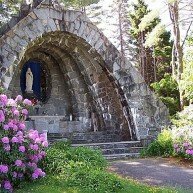 Even further north are the famous azalea gardens at Asticou in Northeast Harbor. 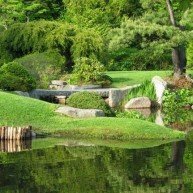 The beauty of the Azalea Garden changes and evolves throughout the year. 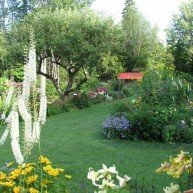 A flowering cherry tree heralds the start of the season in mid-May, followed by azaleas and rhododendrons in many hues in late May through June. 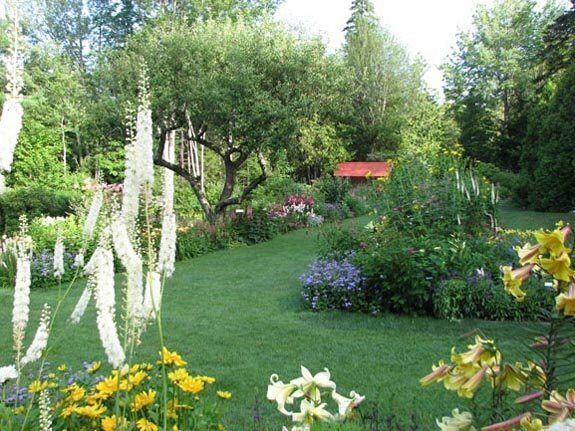 July blooms include Japanese iris, smoke bush, rosebay rhododendron, and the fragrant sweet azalea. 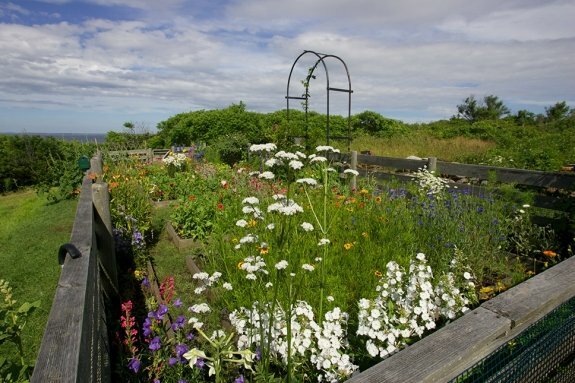 Between north and south, there are many more gardens to tour and enjoy including wild gardens in Acadia National Park, poet Celia Thaxter’s island garden, a sunken garden at the Nickels-Sortwell House in Wiscasset, a Franciscan Garden in Kennebunkport and many more. 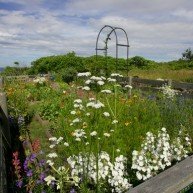 Gardens in Maine are Maine dwellers’ compensation for the snows and cold of winter. Come take a walk around and see all that blooms!